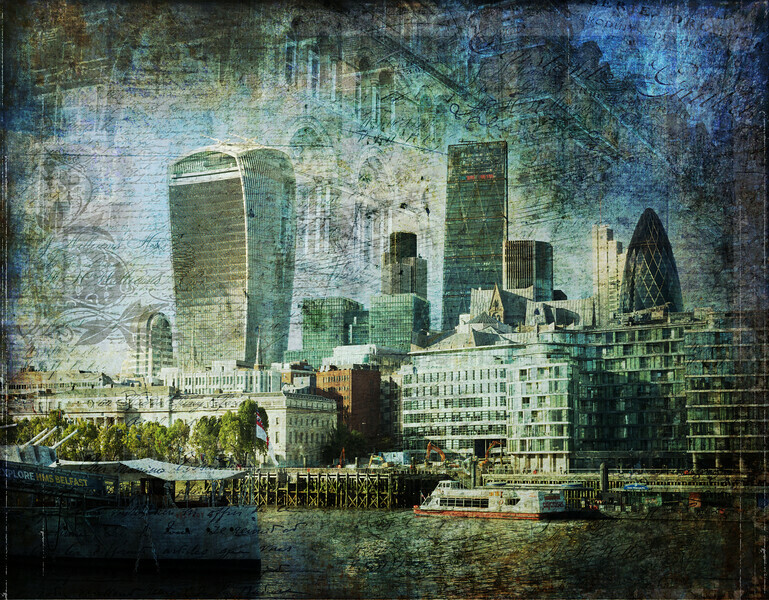 Textured landscape - London Skyline feat., the Walkie Talkie (20 Fenchurch), Cheesegrater (Lombard St) Gherkin (St Mary Axe). Background texture includes another of my photos, this time of architecture near London's Liverpool Street. Each layer represents a certain feeling or mood, to create a different take on the famous London skyline.